i use these in the windows all year round. Was replacing candles i have had for years. As a Spiritual tradition we keep a"Christ-candle" in our window to welcome Him when He returns... This one is perfect as it only shines when it's dark! I will be"gifting" this special item for many friends/family this Christmas, sharing the story and spreading the Light..! Thank you ! Already one of my favourite things ! Only had it a day and I love it - the halo around it just makes it perfect. They offer an attractive display if placed in all windows in the front of the house. It truely helps our house look like a Christmas house with a wreath on the front door and small lighted quality trees on the front porch. Very good company and fast, positive response to any problems. I love this product, plug it in and you don't have to turn on or off the rest of the season. It makes it convenience that it goes on itself when it gets dark and shuts off itself when day light breaks. 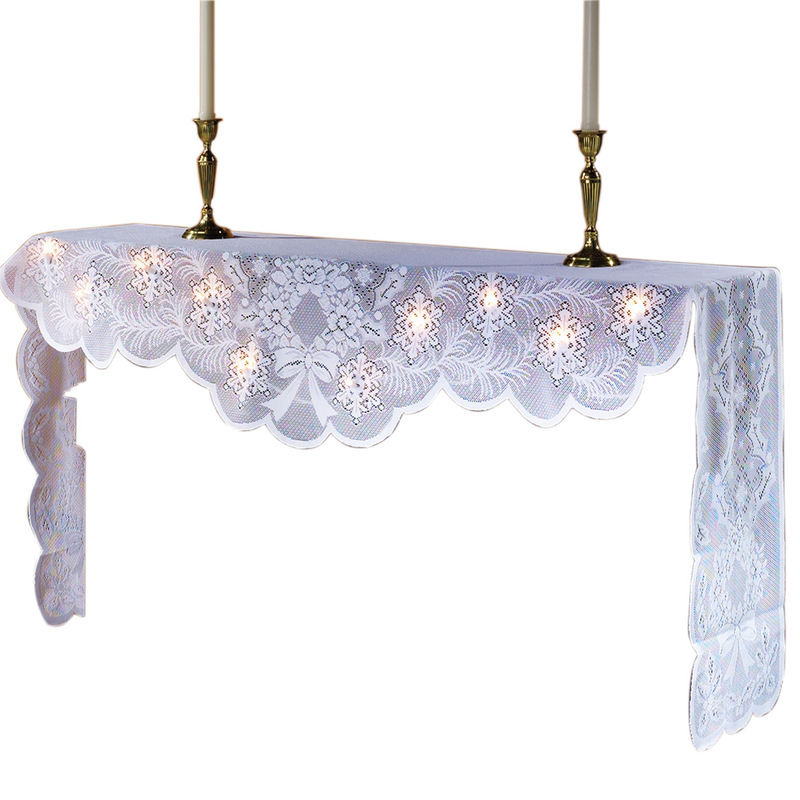 We purchased 10 of these for our front windows in the living room and 3 bedrooms. They look great from the street and add a nice glow to these rooms (night light) at night. They turn off and on automatically which removes having to manually do this with the other candles we have tried previously. I bought four of these. Two in my front window and two in my bedroom window. Love them. I had bought six battery operated candles from Miles previously and they are junk. Each required two AA batteries that lasted about two days. They were on all the time until the batterys went dead. These candles have light sensors, so no worry about turning them on and off and they look good in my windows. times gone by & a tradition in many countries. This is just the candle I was looking for to put in the window. No turning on and off. Great find at a very reasonable price. Sensor Candle needs NO batteries!! Great sensor candle for windows instead of flameless candles that have to turned on and off all the time. Candles at Christmas in Windows? A tradition dating back to Colonial times when farmers would gather their harvest/livestock in the fall and make the trek to Boston's markets. Along the way, there were Inns that catered to these farmers and other travelers. If a candle or lantern was still lit in the window, then room was still available for the weary and they were "welcome". If not, then they must continue on. This tradition of welcoming still exists extensively in NE. I love the Sensor Candle, I plug in once and the light goes on when it gets dark and shuts off in the morning when there is light. Great purchase I highly recommend the Sensor Candle. This light is a true winner ! I love the electrical part with a light sensor adapter. Others you buy rely on expensive batteries or only solar power which does not work when multiple cloudy & gloomy days happen in the winter. I bought several of these candles many years ago and wanted more, but I couldn't remember where I got them. I saw different candles with timers and batteries, but I wanted the on-off sensor feature. At last I saw them in your catalogue and ordered TEN! I put one in every window of my house and leave them there all year long. They make my home look warm and inviting. I have been using these candles for years, in every window, all year long. They last and last. Every now and then I have to change a bulb, but otherwise I just enjoy the warm look they give my home. The dusk to dawn sensor is their best feature. was a good item during the christmas time in our home. Because these lighted candles shut off automaticily I don't have to worry about shutting them off every morning,a lighted candle in the window is inviting. I use these candles in every room that faces the street all year long. I love them. My only problem has been that I could not find replacement bulbs. I finally gave up and bought several new sets. Nice touch to christmas decorations. 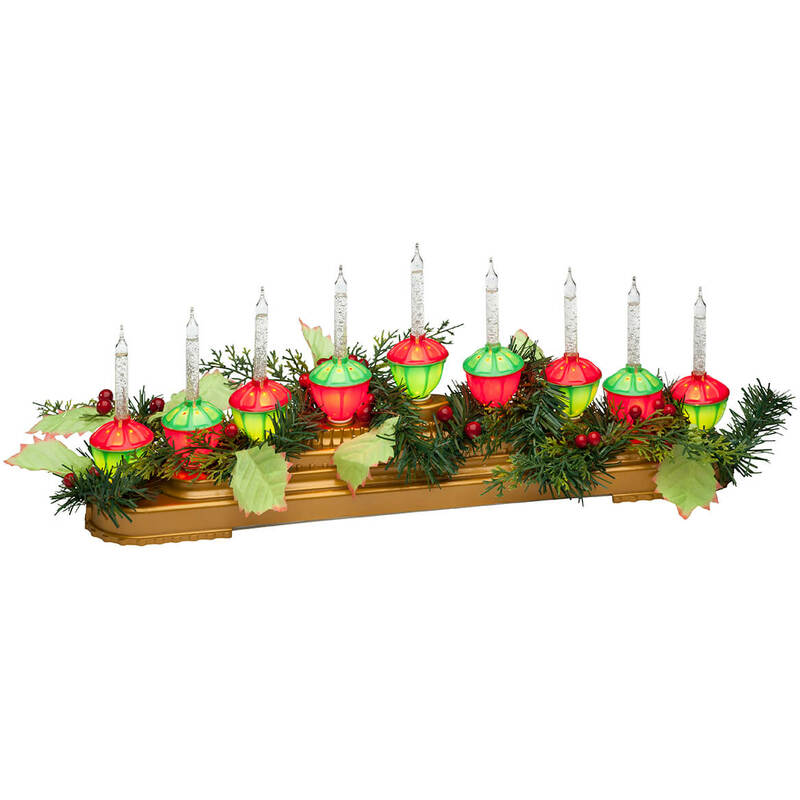 I bought 8/one for each window, I'm using them for Christmas decorations, it's the look I have been looking for, I like the on and off convenience, but they fall over easy, I wish they were a little sturdier. I've used these candles year round for more than twenty years. Although I've tried others, I always come back to these as they last a long time and are so attractive. They also make great nightlights. I really enjoy the convenience of not having to turn them on and off every day. I bought sensor candles from Miles Kimball at least 10 years ago and most of them are still working. They are in all my windows year round and always makes my home seem cozy and warm. I saw that they were on sale on line, so decided to buy replacements and some extra ones. The bases are a bit lighter than my old ones, but they seem to work okay. I can't really say anything bad about them! They are perfect for windows and the sensors make it so they are maintenance free!!!! Love the candles. Plug them in and your done for the season. They look great in our windows. This is one of the best-received of all the gifts @ Christmas! I call it the'Christ-candle'that shines in the darkness, to beckon the returning Savior that this is a home that will welcome Him in! People just LOVE IT! Thank you for keeping it affordable, as every year the 'circle of Light' grows with more people displaying this Holy symbol!! !They shine in every window of my home and I look forward to decorating every Advent! Good for the price! ! I purchased this item due to the fact that it has the dusk to dawn sensor. It works great, but would be better if it were weighted better, tips fairly easy. "Halo, my friends, and welcome." Candles look great. I wish they were weighted......the cat has knocked them over. I like the soft warm glow of the light. I'm very happy they are not LED bulbs. I bought these before so I really like them! I like them especially during the Christmas Holidays! I really do like these candles - they work well and the sensors come on when it starts getting dark outside and shuts off when it's light. They might be a little on the "flimsy" side, but overall, are a good value for the product, I think. I loved that this candle. It would go on at dusk but unfortunately, only lasted 6 months. For $7.99, I expected the candle to last much longer. My candle went out after about a week. The fuse looked okay. Took it out and couldn't get it back in. Candle is also not very bright. The sensor does work. All in all, they work as described, but they need to be propped up with something because the base isn't heavy enough to keep them upright. I've taped mine down to my window sills using blue painters tape. I was not satisfied with these candles. Wei was trying to use these candles wpatound my Christmas decorations. But they apparently only work up when everything is pitch black. One candle came with a broken bulb and I nearly cut my hands trying yo pick up the little schards of glass. I can say without a doubt that thus is the first time I bought anything from Walter Drake that I didn't like. I am sending them back as soon as I can get out to a post office in this ice we have. The candles work with some mini blinds but not the faux wooden blinds with 2 inch slats. I guess the blinds allow too much light. However, if the sensor in the candle was stronger and was focused in the front of the candle facing the outdoors.....it would not be a problem. It is very lightweight and does not want to stand up well. Tips over way too easy. Needed some soft light for some Christmas decorations. They are HARD to find! The dusk to dawn sensor sounds very promising. I look forward to trying it out. I like the way they turn on at dark and turn off at dawn. They look great in my windows at Christmas. 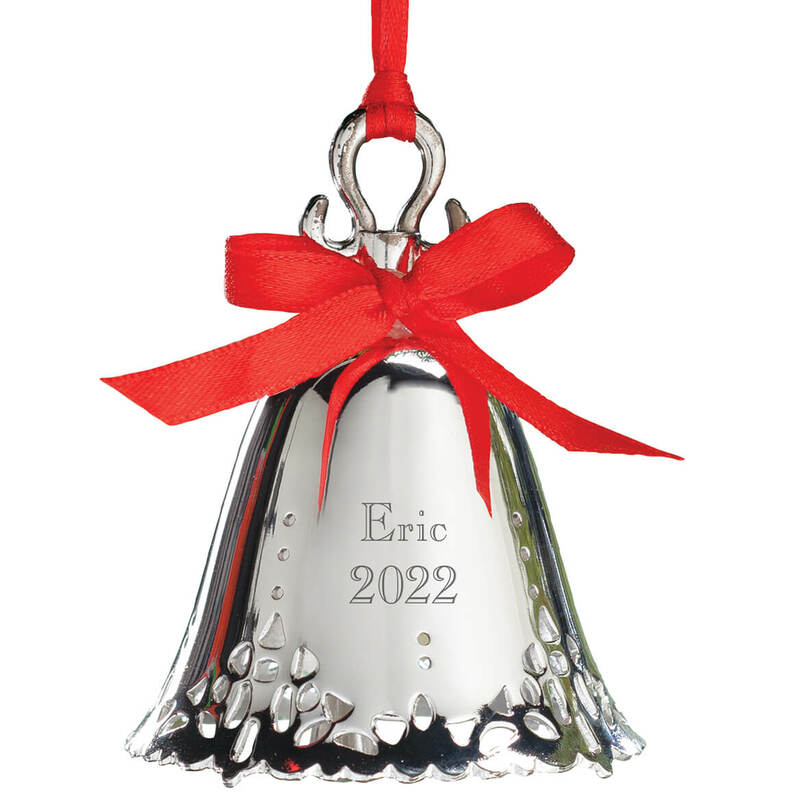 Very pretty, shines brightly, and the little 'halo' around the bulb is a nice touch. I've used battery powered sensor candles but this plug-in version is far better. Even received compliments from neighbors. These candles describe the features that I want to replace candles. Looking forward to trying them. I have them in my home windows and love the look and feel of them. Everything looks so peaceful in the evening with them shining. Not available in store. Satisfied customer comment. I needed to replace previous ones I had. replace a like product that is old. Beautiful candle, has timer and terrific price! I chose the items because I couldn't find them any place else in stock. I really wanted the candles. I will now order from Walter Drake, my life saver. Also, good prices. To match ones I already own. I have ordered this item before from Walter Drake....I've had them for years. Because I did not want to be always plugging and unplugging the candle. We've looked in all local stores and could only find electric candels with wheels or battery operated. These last much longer. I chose this so that there would always be a light on in my guest bathroom. I love to put candles in my windows, & I have them shining their light all year long. I bought this because I have used the lights that require batteries before, & I was having to replace the batteries often. Therefore I bought this kind to replace my others. These not only power by electric, they also have a dusk to dawn sensor, which I appreciate greatly! Keeping a light in the window for Holiday season. Because I could not find them anywhere else. I already have some of these. I really like them and use them all year long. BEST ANSWER: Thank you for your question. The bulbs are replaceable and use a 7-watt max. We hope this information will be of help to you. Yes the bulbs are replaceable. I have one of these candles in each window of my home, & I love them. 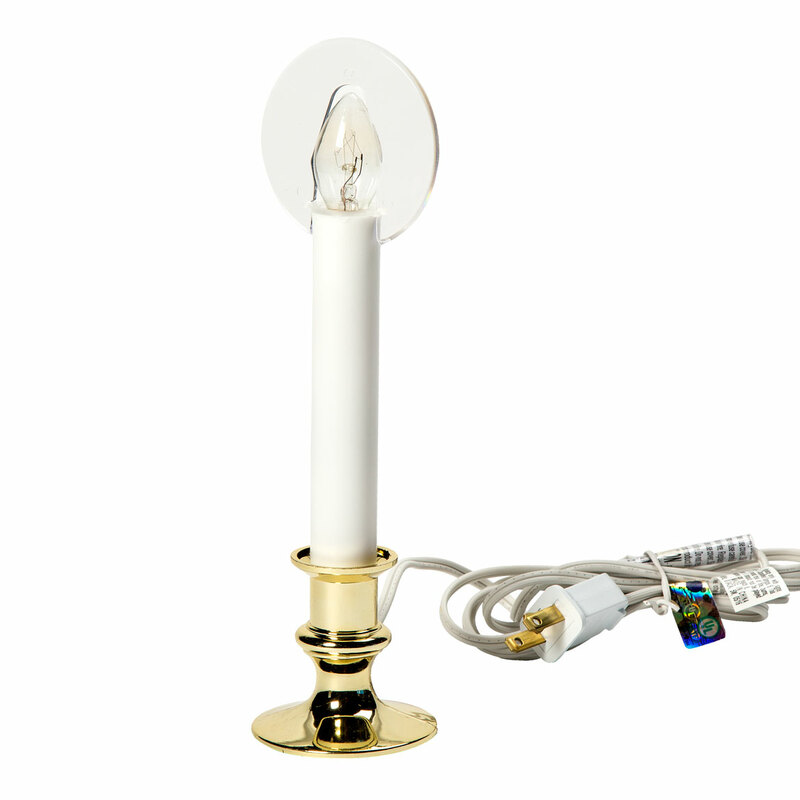 do you have bulbs for sensor candle? BEST ANSWER: Thank you for your question. 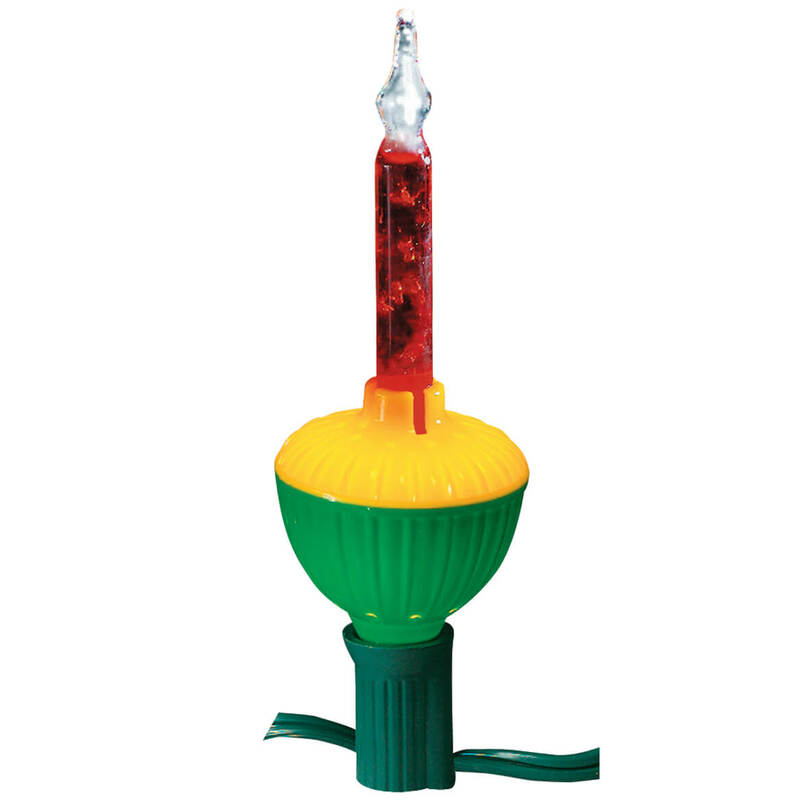 At this time we do not carry extra bulbs for the Sensor Candle. We hope this information will be of help to you and apologize for any inconvenience. What type of battery is required and how long does it last? Are they able to be turned off manually? BEST ANSWER: No batteries. Just plug in and they light when it's dark enough for them to light. They're sensor lights and are very nice. So if you have it in a window it will come on when it gets dark and go out when it gets light again. Thank you for your question. 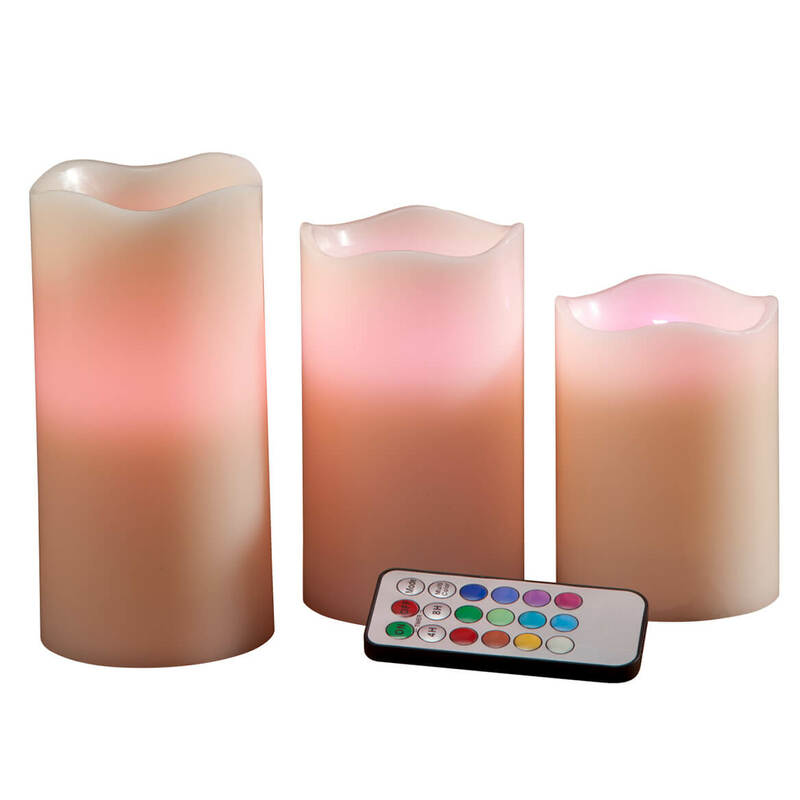 The Candles are electrically powered and do not require batteries. We hope this information will be of help to you. o keep ot from falling off window sill ? Mine has a ledge on them,but you could put them in with clear tape,I did this on one of my windows..
who's the maker of the these candles? BEST ANSWER: Thank you for your question.Since we have a contractual agreement with our present and former vendors to keep their identities anonymous, we are not able to forward their information to you. They are not prepared to accept calls and emails from the general public. We apologize for any inconvenience. We hope this information will be of help to you. 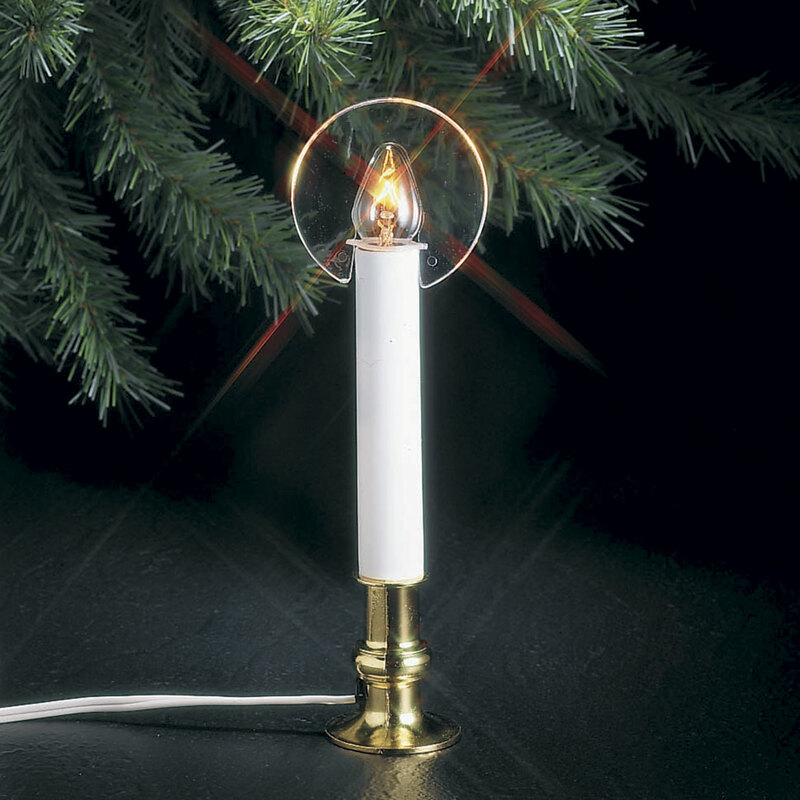 Do you have LED bulbs for the electric window candles? BEST ANSWER: Thank you for your question. We do not sell just the bulbs. We hope this information will be of help to you.